Considered a “father” of Joplin, and one of its earliest settlers, John Cox, a North Carolina native, made his way to Missouri and settled near Turkey Creek around 1838. He never left and the rest is history. 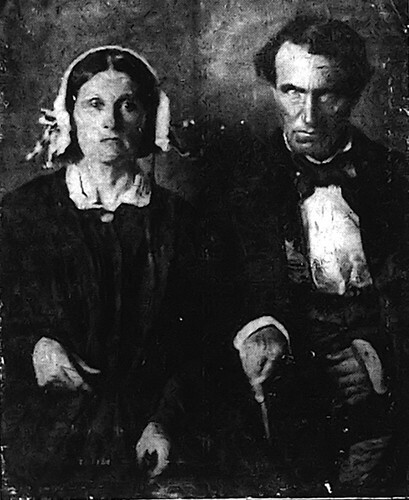 Below is Cox and his wife, Sarah Ann Mercer. John Cox and wife, Sarah Mercer. John could sure give the evil eye, couldn’t he? !